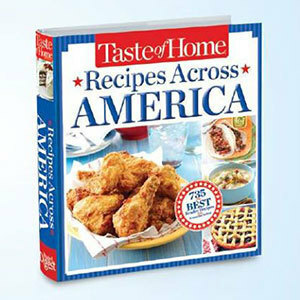 Discover the country's best flavors in Taste of Home's newest cookbook! Packed with 735 recipes from family cooks in all 50 states, Recipes Across America takes you on a culinary road trip without ever leaving home! Does cheesy Chicago Deep Dish Pizza stir up warm memories? What about traditional Yankee Pot Roast or Southern Fried Chicken? Wherever you're from, and whatever you're in the mood for, the brand-new Recipes Across America cookbook is Taste of Home's biggest-ever collection of regional favorites and is a must-have for home cooks coast to coast! Discover recipes for main dishes, appetizers, sides, soups, salads and sweets that made their mark in the Northeast, South, Midwest, Southwest and West. You'll get recipes that are well-known across the country, plus tasty gems only the local folks know about. With this collection the country is yours from coast to coast. You can plan a Southern summertime barbecue, feed hungry hands with Tex-Mex, enjoy the silky smoothness of maple syrup pie, have a German feast for Okoberfest, juicy fruits from the Pacific Northwest or a Classic Cobb Salad. Enjoy! Recipes Across America is sure to be a classic, so be one of the first to own it, and share its magic with friends and family. I received a copy of Recipies Across America to review. 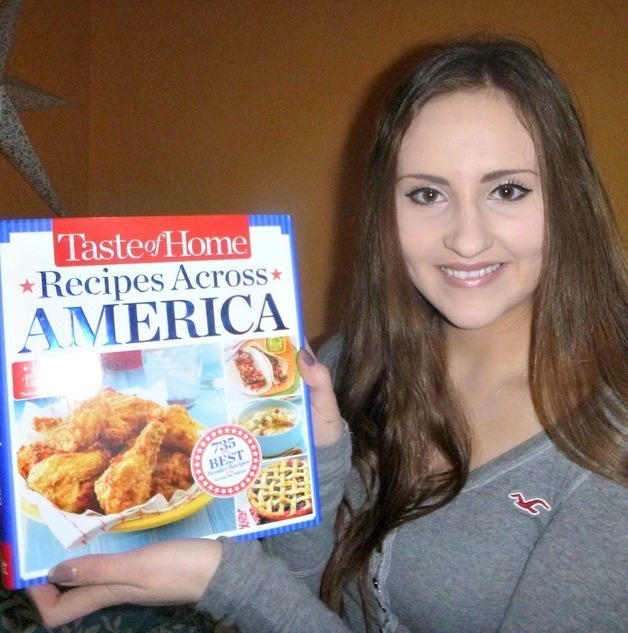 My daughter, Kendallyn was thrilled because she collects cook books and was excited to try some new recipes. And I definitely want to try Maine Potato Candy and Big & Buttery Chocolate Chip Cookies!!!! Kendallyn absolutely loves this cook book. It is filled with many incredible healthful new recipes that include large colorful photographs as well as easy to follow recipes with clear instructions. While we have not had time in this busy new year to try out any of the recipes, Kendallyn and I are having a great time flipping through the pages and book marking the dishes we want to make. IDisclaimer; I received a copy of this cook book to review and to keep. All opinions are my own. I really like Taste of Home recipe books. They have good recipes with procurable ingredients and I appreciate that they're already tested by somebody.